Featuring a bold, vertically curved glass front and sleek all-in-one design, the new Flex Aquarium Kits from Fluval Aquatics are available in both 9-gallon (34L) and 15-gallon (57L) sizes. With the overwhelming majority of all-in-one aquarium kits—especially those featuring a more unique design than the standard “glass box”—being aimed at marine and reef hobbyists, it is refreshing to see a stylish system like this one marketed to the freshwater hobby. And with its adjustable color spectrum, remote-controlled LED lighting geared towards planted aquaria , the FLEX kit is sure to be popular among the aquascaping hobby. The tank is also equipped with 3-stage filtration and a remote control that allows you to select between several colors and effects. 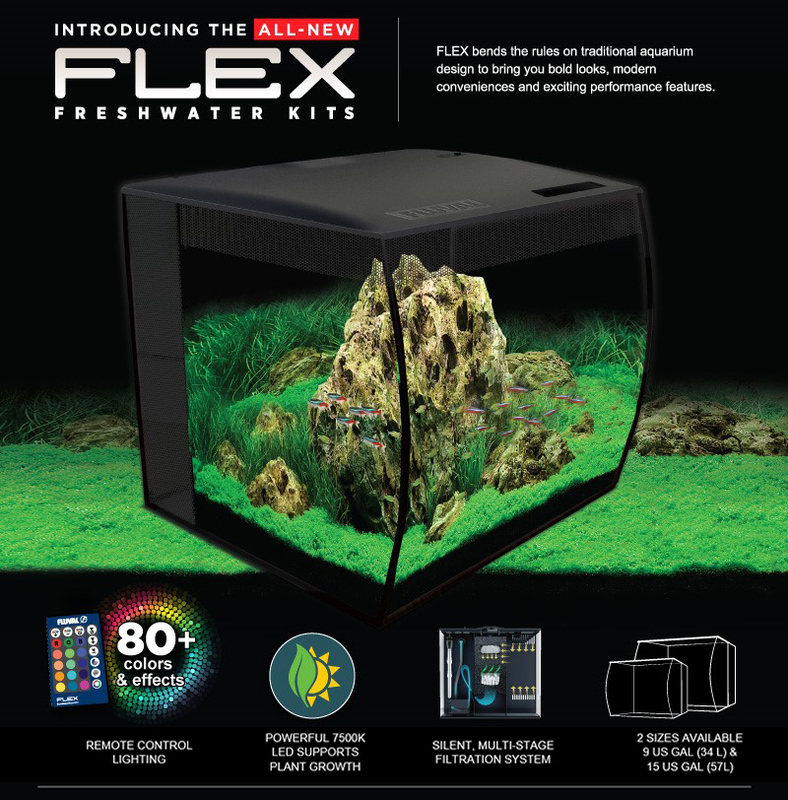 Look for the Fluval FLEX kits to hit local fish stores across the U.S. in the coming weeks, and check out the FLEX product page for more info.